The Mauritanian authorities recently inaugurated a new rainwater collection system for the city of Nouakchott. Built by the Chinese company CTE, it should enable the evacuation of rainwater and thus fight against floods in the Mauritanian capital. The Chinese company CTE has recently commissioned a rainwater collection network as part of a sanitary sewerage network for the city of Nouakchott. Mauritanian President Mohamed Ould Abdel Aziz has was present at the inauguration of the sanitation system, whose first objective is to reduce the risk of floods in the capital during the rainy season. For a few months now, the Chinese company has been working on a territory of 15 km2. It does not seem like much, but the goal was to reach areas where water stagnates during the rainy season on the pole A which corresponds to one of the three basins of the city (ABC). To achieve this, the company has built a collection network of 31 km of reinforced concrete gutters measuring 0.8 x 1m and 1 x 1m. It also laid 11 km of fibreglass pressure pipes with diameters between 1,100 and 1,500 mm. The water collected by these means will be pumped and evacuated by four newly built stations. The facilities are able to pump 225,000 m3 per day, and allow the absorption of rainwater of 50 mm in less than 5 hours. According to the Mauritanian authorities, the new sanitation network will help “avoid the catastrophic situation that Nouakchott knows whenever there are heavy rains or floods”. The project is to credit the cooperation between Mauritania and China. It cost 15 billion ouguiyas altogether, or 40.3 million dollars. It was fully subsidised by China, under bilateral aid and following the cooperation agreement that was signed in December 2015. The project comes as the Mauritanian authorities multiply initiatives to build sanitation infrastructure in the capital Nouakchott. In September 2018, Yahya Ould Abd Dayem, the Minister of Water and Sanitation, visited the site of the capital’s sanitation project. Four sewage treatment plants were then under construction at Moughataa de Sebkha (West Nouakchott). At the end of the inspection tour, he stated that the structures should start operating before the end of September (2018). Presently, the existing sanitation facilities in Nouakchott is limited to a linear network of less than 70 km, a wastewater treatment plant and four pumping stations concentrated in a part of the city centre and serving less than 5% of households in Nouakchott the capital. 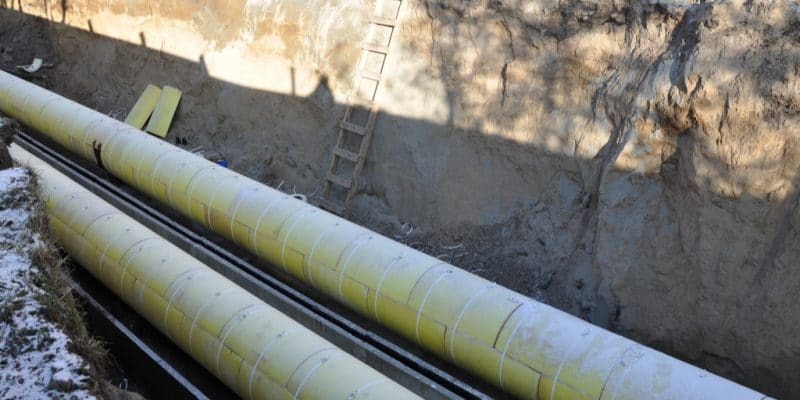 According to the Ministry of Hydraulics and Sanitation, these infrastructures are not functional for the most part, “because of their obsolescence and the strong aggressiveness of their operating environment”. The topography of the city of Nouakchott has led to its division into three watersheds (pole A, pole B and pole C) which must eventually be equipped with all three independent sewerage systems with a separate system for wastewater and rainwater.